Mossy Oak, in conjunction with Southern Racks Outdoors, is launching a new, innovative line of scentless hair and body care products. All products fall under the Scentless Huntress and Scentless Hunter product lines and are in containers decorated in Mossy Oak Bottomland, the original Mossy Oak pattern launched more than 30 years ago. These products are available now through the Southern Racks Outdoors website or Amazon.com. The Southern Racks Outdoors Scentless Hunter and Scentless Huntress product lines are specifically designed to be non-irritating and soothing to sensitive skin. Scent-free products are frequently damaging and drying to both the skin and hair but this new line promises to do away with those issues. From their scent-free presentation to their lack of harsh chemicals they are made for the needs of avid hunters who would use them on a regular basis. 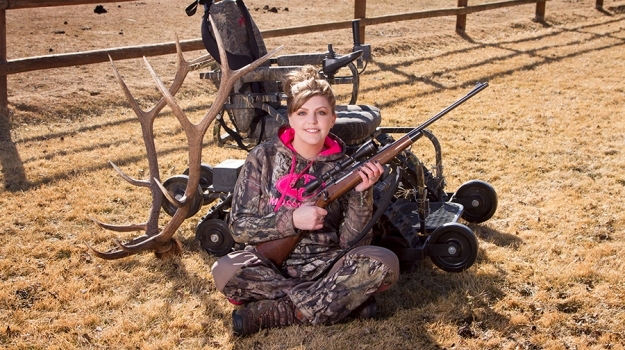 Scentless Hunter and Scentless Huntress are paraben and sulfate-free. The Scentless Huntress volumizing shampoo and conditioner are packed with vitamins, minerals, and antioxidants and are even safe for color-treated hair. The Scentless Huntress body wash and lotion contain specially formulated anti-irritants to soothe sensitive skin and conditions such as eczema and psoriasis. Product creator Jessica Bates is a licensed cosmetologist and created the Scentless Huntress line to be salon quality yet scent-free. 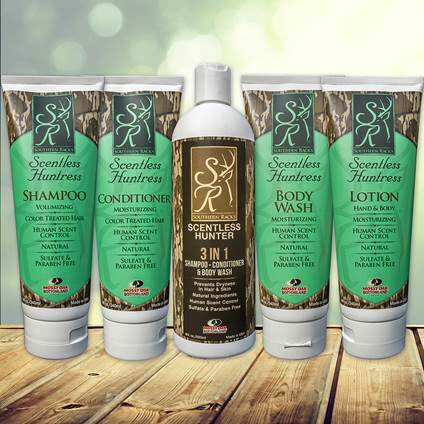 Scentless Hunter 3-in-1 for men performs the jobs of shampoo, conditioner, and body wash all in a single bottle. The formula is moisturizing and assists in the replenishing moisture to the skin even in harsh winter conditions. Products can be purchased online at southernrackoutdoors.com or Amazon.com. Let the huntress in your life know how much she means to you by giving her gifts that blend her biggest passion with popular fashion. 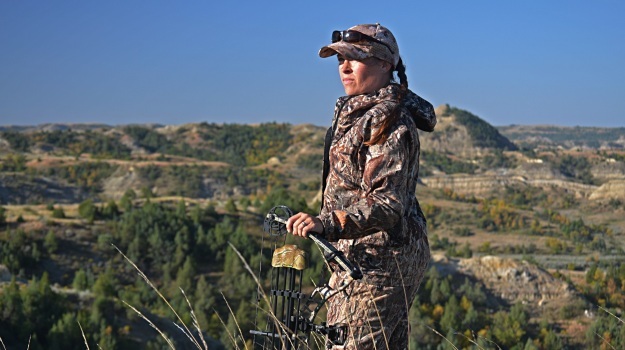 Here are five perfect gifts for women that hunt.